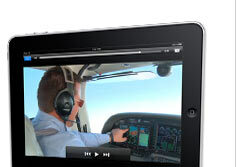 Sporty’s Pilot Shop has introduced a newsletter for pilots flying with iPhone, iPad or Android devices. The first issue of “Flying With the iPad, iPhone and Android” is out now and, while heavy on Sporty’s ads, it does contain helpful hints, tips and news about non-Sporty’s apps too. Since the newsletter is free, it is well worth subscribing to.